us for our $4,300 loss. We are extremely dissatisfied with Empire! We had a "whole house" installation done in February, 2011. During the installation we discovered several pieces of jewelry missing from a closet that they should never even have been in. We called customer service, the police, filed a report and did exactly what Empire told us to do. 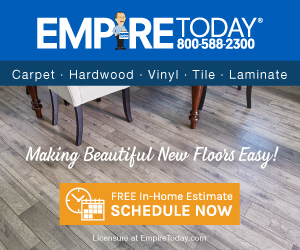 No confessions came from the installers and the police were unable to recover our stolen items, so Empire told us there was nothing more they could do. Their lack of compassion and concern is disgusting. They did nothing to compensate us for our $4,300 loss. Review #204180 is a subjective opinion of pahen.